Glamorgan Record Office and Gwynedd Archives Service | Mair Education: learning for life. Sara worked with Splinter Design Communications to create a bilingual educational Cd-Rom aimed at Key Stages 3, 4 and AS/A2 level pupils in Wales studying the Tonypandy Riots and the Penrhyn Quarry Strike. 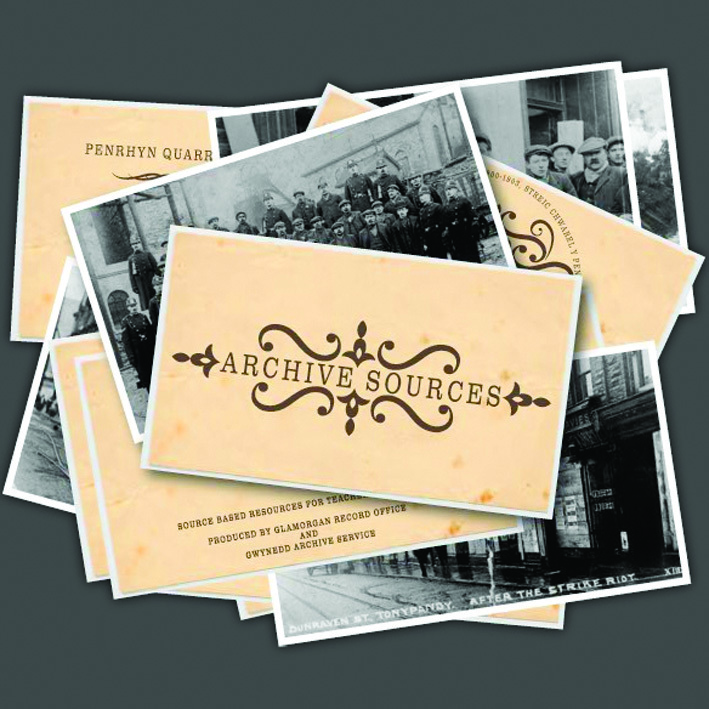 Sara selected a range of primary sources relating to these topics in order to support teachers and students using archival sources for research. The resources aim to help students learn how to approach research as well as develop thinking skills and practice evaluating and interpreting sources when undertaking a historical investigation. The Cd-Rom includes specially selected items from the Archives and interactive features focusing on historical enquiries. Suggested starter, plenary and differentiation activities are provided with the aim of inspiring learners and raising the confidence levels of both teachers and pupils in using archive services as an educational resource. The resources also support young people explore themes including the legacy of industrial development on communities, sustainable development in the South Wales coalfield/North Wales slate communities and protest and conflict with the aim of inspiring learners and raising the confidence levels of both teachers and pupils in using archive services as an educational resource.